If you have been following us on our blog, you might know that we have reviewed “only” the first room before – since we have now done all of their rooms, we have updated our review accordingly. 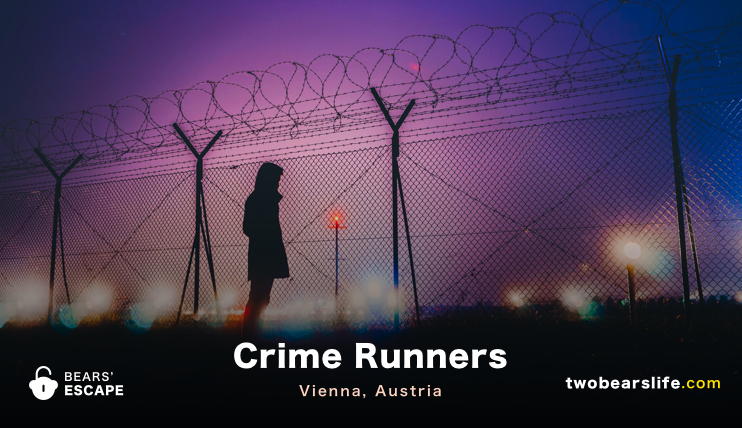 Crime Runners are located fairly central in Vienna, close to the public transportation hub called “Schottentor”. If you arrive a bit too early, there is also a Starbucks really close – we recharged there before heading to the next Crime Runners adventure. At arrival, we were welcomed at the door by a host, you can hang your jackets and store your stuff in locker – the escape room standards. After getting a quick introduction video, we were ready to play the games. Before we go into all the rooms, a quick info about the “episodic structure” of the rooms: you don’t have to play the rooms in the specified order, but the overall story is advanced in each room. Which means – if you have a chance to play them in the correct order, the experience will definitely improve with the evolving story elements. In the first mission for the operator you have to prove that you’re worthy of being part of his team. The corrupt politician Simon Dickson has gone into hiding because of mistrust proceedings against him. The opposition has assigned you to find evidence about his disappearance and his dark deeds in order to finally end his career. When the game starts, you find yourself in the office of Simon Dickson – your mission is to find evidence and the reason for his disappearance. While you are on this mission, you will have outside assistance from a remote hacker. Crime Runners use the “Hacker” in a very smart way: on one hand, he is your game-master and will help you, if you need help. On the other hand, they also use the character to further tell the story. It is a very natural way to merge gamemaster and storytelling. There is no actor in the room, of course, but the remote approach does works very well. 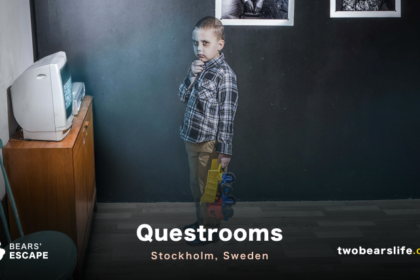 The room is filled with various puzzles and tasks and holds some nice surprises as well – although it never strays too far from escape room classics. It is an office, in the end. Most of it is logic and / or combination based, with some tasks allowing the team to work well together to find the solutions. We had good progress throughout the room and did not need too much help, which is always a good sign. 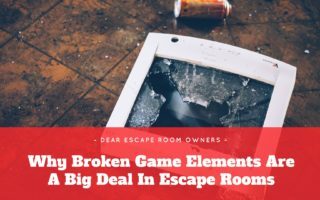 Once we finished the room and reached the “conclusion” of chapter 1, we experienced a surprising ending – which represented the episodic nature of the Crime Runners room very well. You were introduced in a crime scene unit and have to find evidence about a murder case. Who is the victim? Where is the murder weapon? And – most importantly – who is the murderer? Possibly there’s more behind it than it seems at first. To make matters worse, there’s a storm coming up that is about to destroy the scene of crime. You’ve got only one hour to solve the case and seek shelter. The clock is ticking! 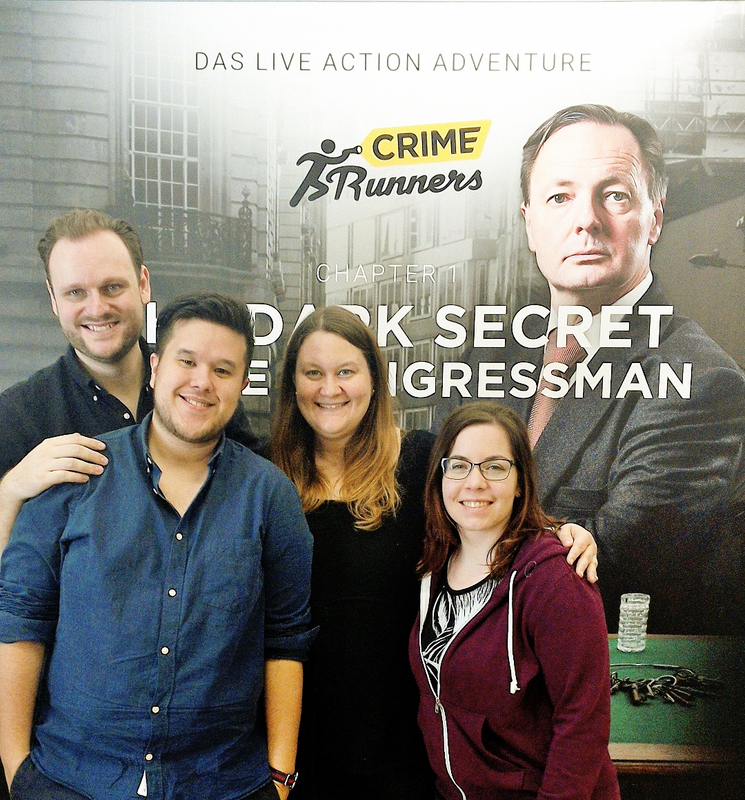 After taking a break that was way to long to our liking, we were super exited to return to Crime Runners after nearly a year the play the next two rooms. The second chapter is called Crime Scene: Back Alley and that’s exactly where we found ourselves at the start of the game. 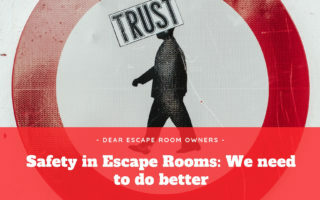 First impressions are important, not only on a romantic date but also in Escape Rooms and we did enjoy what we saw at first glimpse after the doors closed behind us. The size and look of the alley was quite impressive and set a great foundation for the rest of the game. While you might feel a bit overwhelmed with the Alley at first, we quickly found our groove and worked through the different kind of logical and search based puzzles. Once you progress though the room(s), the story pieces are not just decoration but help with the puzzles. It’s a smart way to get you into actually engaging with the story, which sadly got lost to us a couple of times because we got too excited to listen to the story carefully. Which you should, because it helps with the room. Once we reached the end, the room gave us our favourite final moment in all three Crime Runners games. We escaped Chapter 2 with a team of 2 after around 43 minutes. The world’s end is near and you have to do everything you can, to change its fate. You’re on your way down to an underground research lab and have to find the blood sample from Patient Zero, before the military races the facility to the ground. The culmination of our corrupt politican Simon Dickson’s fate – and the solving of a mysterious tale full of crime, conspiracies and adventure. All plotlines from Chapter 1 and 2 get combined, are brought to an end and we top the action. After going from the office setting to a crime investigation from Chapter 1 to Chapter 2, Patient Zero takes you to the Zombie Lab subsection of the Escape Room genres. It’s quite impressive how Crime Runners tells an overarching story over these three rooms that even makes sense. Episode 3 sent us into an old underground research lab where we had to find the cure to a zombie virus before the world crumbled outside. While Crime Alley set the tone with its first impression and wowed us from the moment you entered the game, Patient Zero took a different approach and build the excitement – not just with the puzzles, but also with the room designs. While the alley was spacious, the Lab is smaller and tighter – but the game uses the space it has very well. Since we were just a 2 person team though, we imagine bigger groups might run into some coordination problems of having “enough space” so everybody can take part of the puzzles and tasks. While playing Patient Zero, we clearly saw that this is the game that was built last, having a set and game that work hand in hand and give you the best “overall” experience. Sure, the theme itself is not the most creative and unique, but there is a reason a zombie lab scenario is used a lot – because it lends itself extremely well to an escape room. As with the previous rooms, the puzzles and tasks have a good variety from logical problem solving to search- and combination puzzles, that were engaging and fun, with the only nitpicky comment being that a bit more space wouldn’t have hurt – but we get that you have to work with what you got in that regard. The ending of the room might be the most controversial moment of the game. Without spoiling any details, it is intense and nerve-wracking and could either give you the best endings of the whole series – or leave you a bit frustrated. Crime Runners “up the ante” with the final puzzle, which does involve a sudden death scenario that can be over quite quickly if you don’t pay close attention. 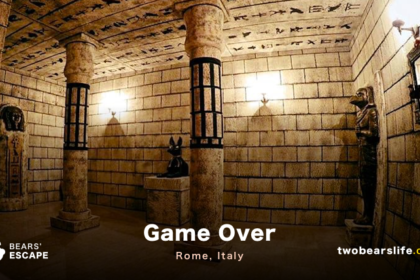 It’s even harder to achieve with just two players – but after we failed not once but two times to get the final puzzle right, the third time was the charme for us and we got to safe the world. Hopefully? Since we have played all three rooms, we can now finally give you a full-on “final roar” conclusion. Crime Runners is, without a doubt, one of the (if not THE) top Escape Room companies in Vienna. The overall experience is great, the website works well, the hosts and game masters were all super nice and did great jobs and the location itself is easy so reach, clean and spacious enough to host multiple groups at the same time. The games themselves are different in tone, but we love the fact that they all connect. It’s very unique and we love it. Should it stop you from starting with Patient Zero if that’s the only room available? No – they all work on their own well enough. We do recommend to play them in order though – just so you can appreciate the storytelling and evolution of the games. 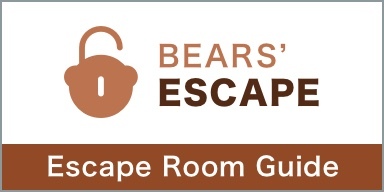 We recommend groups from 3 to 4 for all 3 rooms. They are not scary and the room design improves with each chapter, Patient Zero clearly having the most immerse experience. While we did struggle a big with the ending of Episode 3, we were happy we got a retry and we do understand the effect of the adrenaline rush that the final moments can give you. Overall, we had a great time in all 3 rooms. 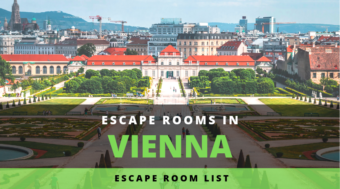 They all have some minor issues here and there, but overall we consider them top rooms in Vienna. We have also heard that they are already working on Room #4, which will probably open early 2019. We can’t wait to try that one as well. 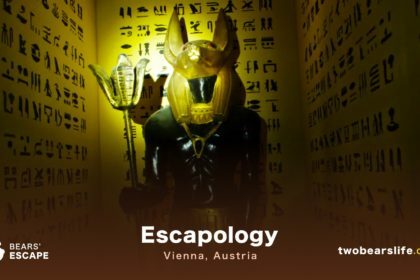 One of the top Escape Room venues in Vienna, with a very interesting take on Storytelling throughout all of their three rooms.